After a decade as Conservative Party leader and six years as Prime Minister, he remains an enigma to those outside his exclusive inner circle. Now, in the wake of his dramatic resignation following the sensational EU referendum campaign, this new edition of the book that ‘got the world talking’ (Daily Mail) revisits the real David Cameron, bringing the story of his premiership to its final chapter. 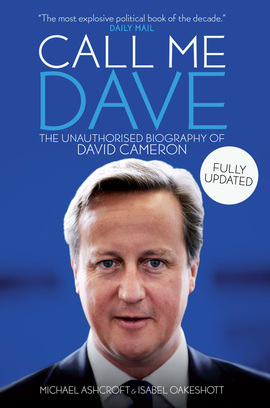 Based on hundreds of interviews with colleagues past and present, friends and foes, this unauthorised biography charts Cameron’s path from a blissful childhood in rural Berkshire through to the most powerful office in the country, giving a fascinating insight into his most intriguing relationships, both political and personal. Exploring the highs and lows of his administration, from his brush with disaster over the Scottish question and his humiliation over Syria to his surprise election victory in 2015 and his controversial win on gay marriage, this fully updated edition offers a comprehensive assessment of Cameron’s legacy in office, weighing up the extraordinary achievements of Britain’s youngest Prime Minister for 200 years. "The most explosive political book of the decade."